One thing I've noticed in owning a bully is that I have inadvertently entered myself into a fight. 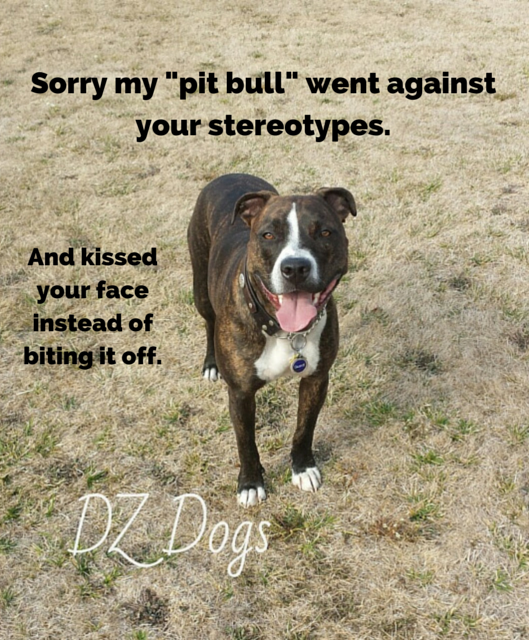 I always knew that their were stereotypes and stigma's against pit bull type dogs but I had never been caught in the thick of it before. Currently this poor category of dogs is the center of attention for dog bite and horror stories. The news media likes to highlight the tormented souls who act out based upon what life has dealt them and it is not fair. Lets be honest, who is really the problem? Dog's don't just bite for no reason, dogs don't just "snap" or "turn". You don't one day have a perfectly balance family dog, and the next day a killer. Just this week I had a lady tell me, "Be careful, sometimes they just change." Change? Into what? A killer? A chameleon? A cat? I've never heard of this before, is it a new phenomena? "Look ma! 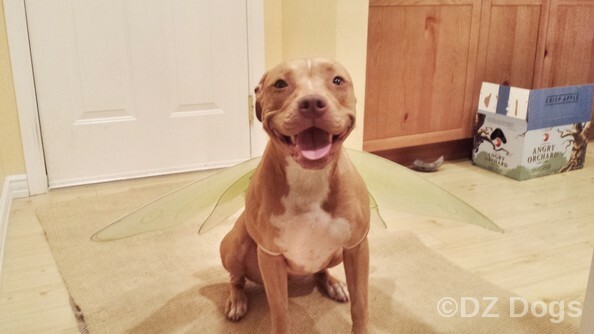 I'm a bullyfly!" Recently we were at our local pet store picking up a few supplies, hubby and I brought both dogs because it is a great place to work on distraction training, for Dante and threshold training for Ziva. We expect our dogs to walk nicely on a leash, they can greet people only if the person wants to meet them - no randomly attempting to harass a stranger into giving love. We ask that they ignore other dogs and walk past nicely unless of course the owner want's his dog to meet either Dante or Ziva and even that depends on how well our pups are behaving! If Dante can't control his crazy insane levels of excitement, then sorry he doesn't get to say hi this time and I tell the other human, "Sorry we're training." If he's being good then he may say hello. Well our last time we visited the store, I was walking Ziva and approached by a woman who said, "Wow, beautiful dog!" She wanted to say hello and so I let Ziva give kisses and we stayed to chat a while. The conversation always starts out the same, "I love dogs...yada yada.." And then it takes a darker note, "I knew a pit bull once. It had to be put down because one day it just "turned" and bit someone, what a shame it had always been such a nice dog. 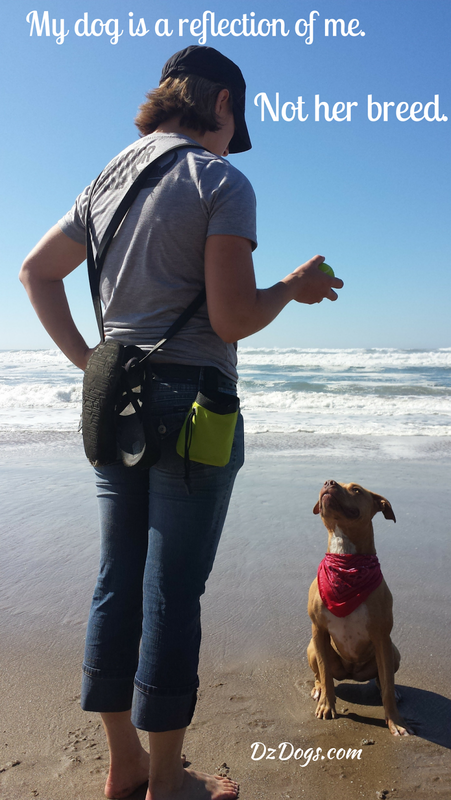 I would never own a pit bull because of how unpredictable they are." I am a bully mama. It doesn't matter where I go in the social media world, this topic is highly fought over. Often times I don't bother to waste my time responding to haters. What's that saying, "Haters gonna hate!" I'm more interested in honestly changing peoples minds. It's our job to be the best bully ambassadors that we can be! Bully breeds are just dogs. Like any other breed they have breed tendencies, high energy, big exercise requirement, chewers, stubborn nature, naturally protective, natural prey drive, etc... But really they are just dogs. I like the challenge of owning a bully, they are powerful, gentle lovable big babies. Owning any dog is a responsibility, owning a bully breed you are contributing either positively or negatively to the breed image which is already damaged. It is your job to socialize, train, and work with your dog so that they are well balanced and a pleasure to meet. However just like any other breed, they get grumpy, tired, have their good and bad days and people should be forgiving! Ziva has been bit a couple times, never broken the skin thankfully but can you blame her for her fear reactivity issues? The first incidence it was a mastiff with resource guarding issues at a dog park, another time by a blue heeler that is a grumpy old lady, a third time at daycare - according to the handlers she just walked past and the other dog was having "a moment", wrong place wrong time. Funny though how people are more willing to forgive other breeds for bad behavior, but not bullies.. "Oh no! Put them down! They can't be trusted ever again!" 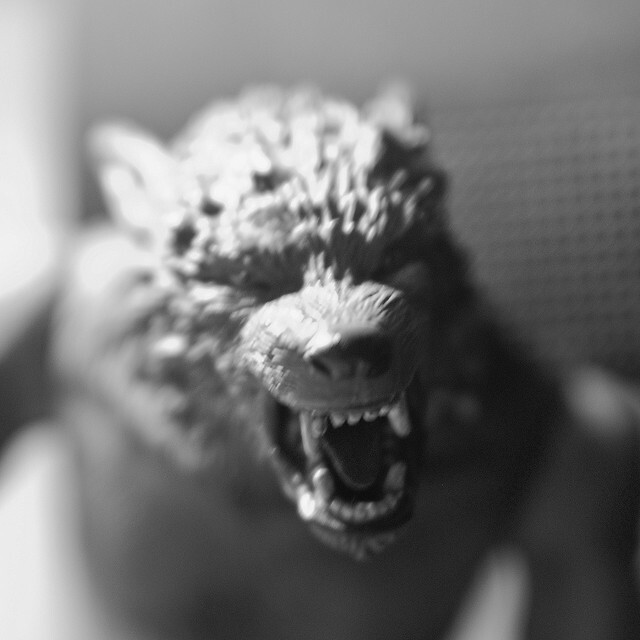 Dogs are not Werewolves, they don't just "turn". Boy does that get my blood boiling! I politely but firmly explained to the woman - they are just like any other dog, no dog just "snaps", or "turns" on his family. They don't just randomly go through a blood lust where they attack a human or another dog. A bite is always for a reason: resource guarding, food aggression, abuse, etc. And then not even 10 minutes later I bumped into a man with the same story - "great dog, then one day..."
What is BSL? No Such Breed as a "Pit Bull". Whenever there is an article or news story about a pit bull attack, some of the comments, like you mentioned, really.. really get my blood boiling. I had one woman who wouldn't come into the vet's office last year because I had Bain in there, people sometimes avoid us on the street and cross to the other side, and so on. The Dogo is banned in certain areas of the world, I knew what I was getting into when getting Bain. Some days it still surprises me the behavior of some people. There is still a very long road ahead, but hopefully we can continue to educate others along the way. Ugh...people are sooo uneducated, ignorant, and hateful. There is no reason to treat a dog like that - nevemind that the vet and all the staff were cool with Bain! Oh, what a perfect post! Unfortunately, so many people don't realize what it takes to be a responsible dog owner, to include proper & ongoing socialization throughout a dog's entire life, lots of training & mental engaging, as well as love, of course! 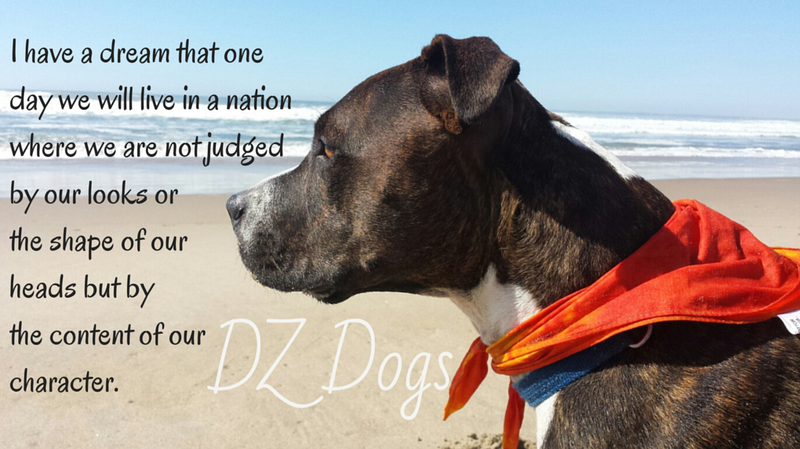 It is very unfortunate that the beautiful American Pit Bull Terrier breed is being discriminated against. I strongly oppose BSL & suggest that people become more knowledgeable about dog behavior, dog body language, and dog psychology in general. So many bites by ANY breed could be avoided by paying proper attention to a dog's warning signals PRIOR to being bitten, and by respecting a dog's personal space. I am right there with you and I don't even have bullies. LOL! A couple of years ago, I used to use this soccer field for chuckit. On the weekends I usually ended up sharing it with people, but my dogs were well behaved and I'd send them one at a time after a ball. So we are doing that and this family comes over to use part of the grass, no problem, so I start adjusting where I am throwing. Dog runs out grabs ball and runs back. Completely under control. The husband notices my dogs and starts screaming at me to get my pitbulls away from his kids.. Just starts flipping out and screaming at me. Meanwhile, my dog had returned and they were both sitting and looking at me waiting for who was next to go. I calmly shouted back, "they aren't pit bulls but I am happy to leave". The wife pokes him and laughs and said, "I told you they weren't". It was the one and only time I have ever had anyone say anything to me about using that field for playing fetch and it was so weird. I totally feel bad for all the bully owners, though. Having to deal with those kind of people all the time, it must be so frustrating. Clearly even if you had more stereotypical pitty type dogs his kids still wouldn't have been in danger. Their was no reason to yell about it. I'm not sure I wouldn't kept my cool as well as you. I've had parents on our street give me some looks when they realized their kids were playing in my front yard with my "pit bull's". Thankfully all the parents have come around. On our street all the kids get together to play basketball and be crazy, of course they always want to play with Dante and Ziva if we're outside too! They love throwing the ball and tugging. I enjoy changing people's minds and educating the kids regarding doggy body language, and proper ways to play. I get the same ugly comments and I have German Shepherds! Just keep telling yourself "people are stupid." Here's a story for you: I knew a woman once who seemed perfectly normal and then all of a sudden she became an idiot. I don't know what happened. She just snapped! They really should have put her down, or at the very least not let her breed. What a shame, that woman went on to have six kids and she spread those stupid genes all over Northeast Florida. I'm a big proponent of SBLs -- stupid breeding laws. Haha! I agree with you on this one! Stupid Breeding Laws! Love it! I have always had Goldens, and everyone always says "Oh they are great family dogs" Well, I had to go do an evaluation on a Golden that was potentially going into rescue, it was brought to a vet to be put down, the owners said they thought this young 3 year old dog killed their cat, but since there were 2 other dogs in the house, and the people didn't actually see it happen, the vet refused, but agreed to take the dog from then and place him. I brought a very high energy Golden with me, I brought canned food, a raw bone, I did everything I could to test this dog, I even brought this dog near a cat that was being caged at the vets for adoption, the cat swatted at the dog and no reaction, so off to the rescue he went.... on the gtransport, the people found him to be gaurding his toy, but they just figured it was nerves, he gets to his foster home, a very experienced home, and this home was going to hopefuly adopt him, the woman got up the next day, and was looking for her slippers, the dog had them, and not thinking for what ever reason, she didn't do a trade and instead tried to take the slipper, and this dog ripped her arm wide open, and the dog was put to sleep within the hour due to rescues policies. Not sure what this dog was through before coming into rescue. People think one breed is better than another and it's just not so. Every dog needs work, needs training, and not every breed is for everyone. Wow, what a story. So sorry to hear about the dog. But you're very right, all dogs no matter the breed need work. And no one breed is better/worse than another, it's based off of individual dogs and their personalities although certain breeds have traits assigned to them. Dog's no matter the breed need to be respected and trained. Definitely too bad about that dog though.